The first chapter examines Russia’s 2018 presidential election, in which Russian President Vladimir Putin was widely expected to secure reelection (and since then, has won). 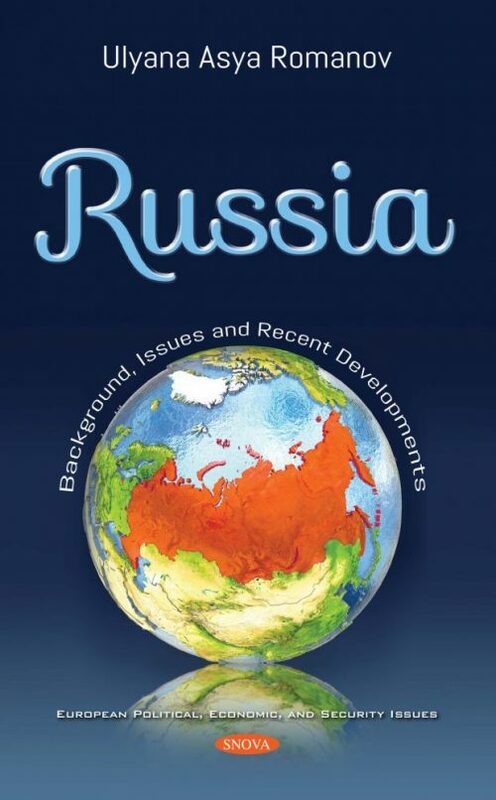 The second chapter examines recent developments in Russian policy, including the increasingly authoritarian governance since Vladimir’s Putin return to the presidential post in 2012, Russia’s 2014 annexation of Ukraine’s Crimea region and support of separatists in eastern Ukraine, violation of the Intermediate-Range Nuclear Forces (INF) Treaty; Moscow’s intervention in Syria in support of Bashar al Asad’s government; increased military activity in Europe and cyber-related influence operations, that, according to the US intelligence community, have targeted the 2016 US Presidential election and countries in Europe. The next two chapters go into further detail on Russian compliance with the Intermediate Range Nuclear Forces (INF) treaty and the new START Treaty (a new strategic arms reduction treaty that the US and Russia signed on April 8th 2010. The last chapter included in this book is a 3-page report on the Balkan’s uneasy relations with Russia. Despite Russia’s effort to influence the Balkans’ political orientation, which has led the US and, more significantly, the EU to increase attention to the region, some observers believe that Moscow likely will not be successful in realigning any of the Balkan states away from the West in the long run.